I love fall colors. I think my wardrobe is based on them. 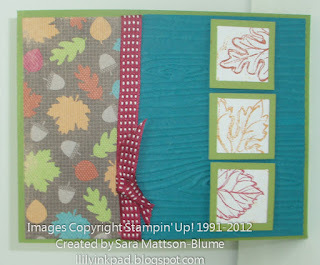 Here is card based on the rich fall colors featured in the Orchard Harvest Designer Series Paper. 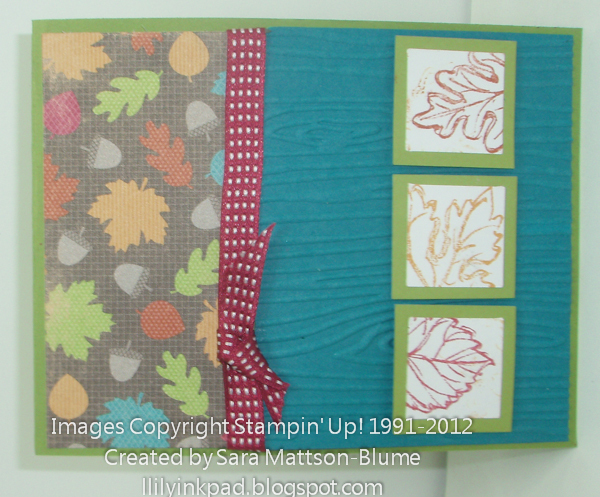 I wanted a quick and easy card for my stampers to make, but yet have a cool, modern look.